I've been trying to get better at documenting the little jobs I do here and there, that I often do so quickly that it's only once they're out the door and in the mail that I realize I never snapped a photo of them. This was a batch of change of address cards I recently sent out to friends and family around the world. 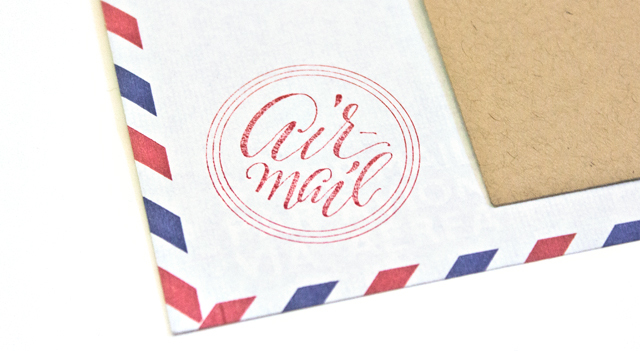 I'm so tired of all the dull airmail stamps out there that I created my own airmail rubber stamp.